Understanding the concept of Allying to Distant Powers to Subjugate Immediate Neighbours. 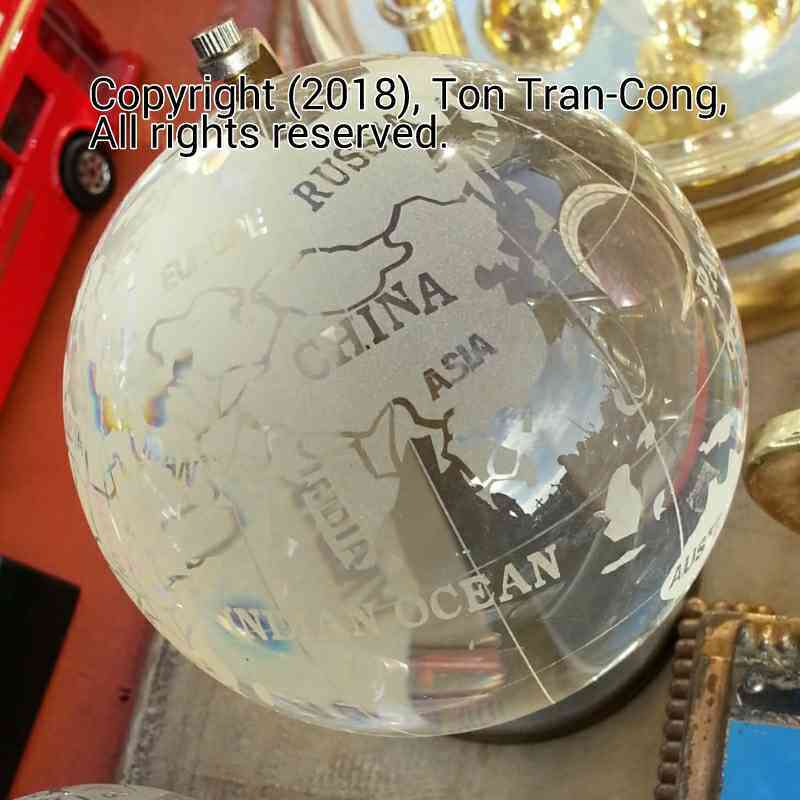 #Foreign Affairs #Allying to Distant Powers to Subjugate Immediate Neighbours #alliance, #China, #expansion, #aggression, #war, #US, #neighbour country, #Japan, #India, #Korea, #Burma, #Mongolia. 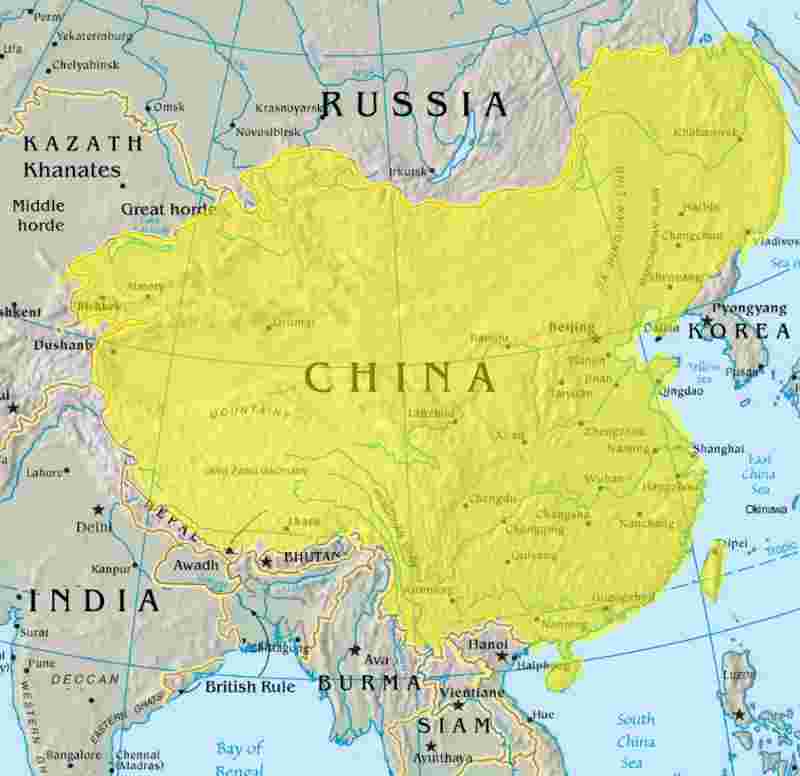 Contrary to Westerners’ impression, China is not ruled by successive descendents of an Empire founder for thousands of years. Actually, there are many successive empires in China, each killing all eligible inheritors and most officials of the previous empire to grab its power and to prevent its resurgence. The new empire then restored and continued to use most Citadels built by the previous empire. Except for a short period of the Zhao dynasty (who ruled by being virtuous but was therefore bullied by their own followers), whatever empire occupying the Central Citadel always practice Allying to Distant Powers to Subjugate Immediate Neighbours. 1. The central empire state and its surrounding vassal states. The ruling Emperor always has to award his contributing followers while keeping them under control. The empire is carved into many vassal states (each is a miniature copy of the central state but having to pay annual tributes to the Emperor) awarded hereditarily to the contributing followers of the emperor. The vassal states sometimes wage wars among themselves, their boundaries are not fix but always change due to wars/feuds between their rulers. Sometimes the Emperor has to intervene to stop wars among his vassal states. 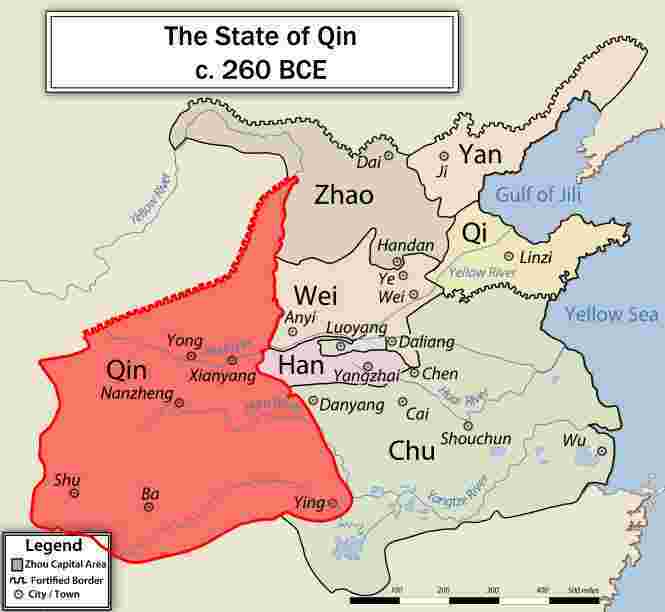 The ancestors (in name, but not biologically) of the founder of the Qin Empire were followers of the Zhao emperors and had been awarded the vassal state of Qin, but they successfully bullied the Zhao Emperors to gradually rob their land and their throne. 2. Allying to Distant Powers to Subjugate Immediate Neighbours (within the empire). The desire is understandable. Chinese history has shown many stories of rebellion by trusted officials to steal the Emperor’s throne and wives. On a national level, each emperor let his most trusted generals be the rulers of distant non-prosperous vassal states. The distant governors have no chance of becoming more powerful than the Emperor, but they can be recalled to subdue any rebellious official in the Emperor’s court. 3. Allying to Distant Powers to Subjugate Immediate Neighbours (on international level). Figure: The (Southern) Song Dynasty allying to the distant Mongolia to defeat its immediate neighbour (Northern) Jin. In that case, the Enperor will pretend to find new markets and send trade emissaries to third (and maybe fourth and fifth) countries behind the back of the undesirably strong neighbour. Trade talks with those countries may soon become secret talks of alliance for double thronged attacks on the undesirably strong neighbour ! The spoils of wars will be divided among “allies” according to their contributions. It is known that 2000 years ago, China has reached distant countries like Persia, various non-united nomadic countries in Siberia. The purpose was not purely for trading. It was to keep open the possibilities for alliance against immediate neighbours of the empire. 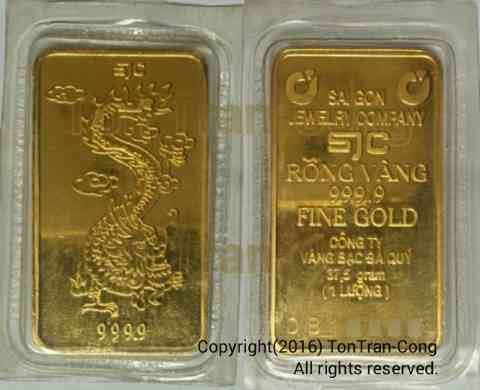 Vietnam (Annam in Chinese history) was never a Chinese land and has revolted against Chinese occupations. China used to ally itself with the Southern neighbours of Vietnam (Champa some 400 years ago, and Khmer Rouge recently) for many plans for double pronged attack on Vietnam. India is a Southern neighbour of China. The method calls for an alliance with Sri Lanka and provoking wars between the two harmonious neighbours India and Sri Lanka. Burma has a common boundary with China. Its national cohesion is declining. The country would be a suitable candidate for application of China’s all three policies of Forever Expanding, Strike-then-Consolate, Allying to Distant Powers to Subjugate Immediate Neighbours. A suitable ally for China would be some revolting Minorities in the South (see ). #Foreign affair, #Militarized diplomacy, #Aggression, #Strike then Consolate, #Mutual Cooperations, #Phillipines, #China, #South China Sea. The current (1990 to 2017) situation on the Scarborough Shoal (Dao Vanh Khan as claimed by Vietnam) in the Sea of West Phillipines is interesting ([2,3]), It offers an example of the Tactic of Strike-then-Consolate in “mititarized diplomacy”. Its resultant “mutual cooperations” are then revealed as only part of a long term plan for further aggression. The aggressor nation finds an opportunity to attack the victim nation and makes territorial gains. Right after that, before international reaction can develop, the aggressor offers to give back half the gains to make peace with the weaker victim. The weak victim may accept that offer if it cannot rely on internarional help or if its unpopular leader wants to make external peace to have time to strengthen his grip on domestic power (that is its leader sacrifies national interests to further his own personal gains). The cycle may be repeated many times to make a vacillating nation out of the victim to isolate it from its allies. 2a. The aggressor nation looks for a neighbour with unpopular leader. Failing that it may make one by promoting corruptions, non-transparent dealings in that country to weaken the popular support for its government. 2b. When popular support of the government of the intended victim nation has reached a low point, the aggressor creates economic, environmental, social chaos to brew anti-government protests, uprisals and revolts. 2c. The defence of the victim nation is then dispirited and weakened. 2d. A quick military attack is carried out for territorial gains. 2e. A peace delegate is immediately sent to the victim nation to offer peace with the return of half of the territorial gains together with some economic aids! “Mutual Cooperations” are part of the package of economic “aids” by the aggressor to its victim. 2f. The victim nation then consolates itself that it can get benefit from “Mutual Cooperation” with its aggressor and demotes its effective but hard line leaders in its defence force. 2g. The aggressor then executes its planned follow up military strike while the defence force of the victim has no established effective leader. 2h. The victim nation then desperately search for new leaders for its defence forces and demotes its team of “Mutual Cooperation” advocates. 2i. The whole cycle (2e, 2f, 2g, 2h) is then repeated again and again so that the government of the victim nation is worn out and lose any of its remaining credibility through conflicting policies, continual reorganization, demotion and rehabitation of its personels. Any ally of the victim nation would not stick around with such a vacillating nation. 2j. When the government of the victim nation has lost its popular support, strength and credibility, the aggressor may take over its victim overtly or covertly. 3. “Mutual Cooperations” are never a fair deal. 3a. Not to take the aggressor to any international authority. 3b. The victim nation giving unaccountable benefits to its deal makers (that is giving high rewards to those who favors the deal). 3c. The victim nation allowing personels of the aggressor to be in vital future positions. 3d. The victim nation demoting fervent nationalists in its defence force. 3e. The victim nation ceasing most of its defence industrial plans. 3f. The victim nation reorganizing its government and development plans to suit the aggressor. 4. So what are Mutual Cooperations in reality? Mutual Cooperations are only a conditional surrender to the aggressor. Sun Tzu  said that the best victory is a victory gained without using the army! (The following are augmented after 09 May 2017).